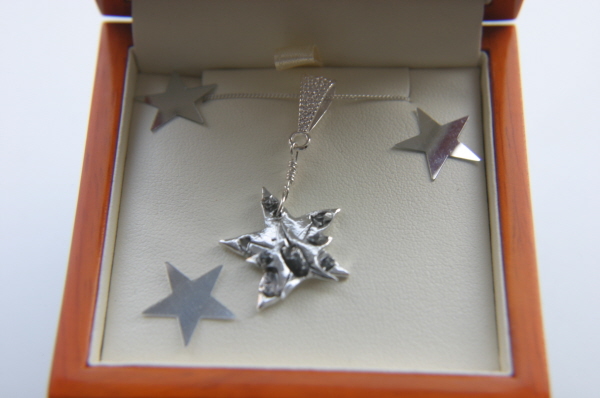 A customer emailed me to say he had seen my Solid Silver Star Meteorite necklace and it had inspired him. He wanted me to make him a necklace based on the Silver Star Necklace, but to his own plan. I sent various ideas back and forward with him, and eventually made him his necklace which he was DELIGHTED with!